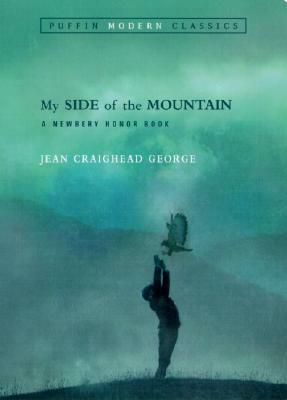 My Side of the Mountain is a fiction story by Jean Craighead George in which a city boy named Sam is humiliated by his family, runs away to the Catskills and becomes a Native American-like wild boy. There some inconsistencies and unrealistic parts, such as when Sam ran away he was able to hitch rides to cover 100 miles, in one night. Also there was no search party for Sam even though the idea was that his family knew where he was. When he got visits from hikers it would take some people one hour to get from Delhi to his house, where as it took others a week. Additionally, Sam learned all the diverse ways of nature in two weeks. Finally, what Sam is able to do in a day would take a trained outdoorsman a week. I liked that Sam's only real enemy is nature, which is a major difference from the usual good guy vs. bad guy stories. However, I didn’t like the ending when he had to settle down and set free his forest friend Frightful the falcon.